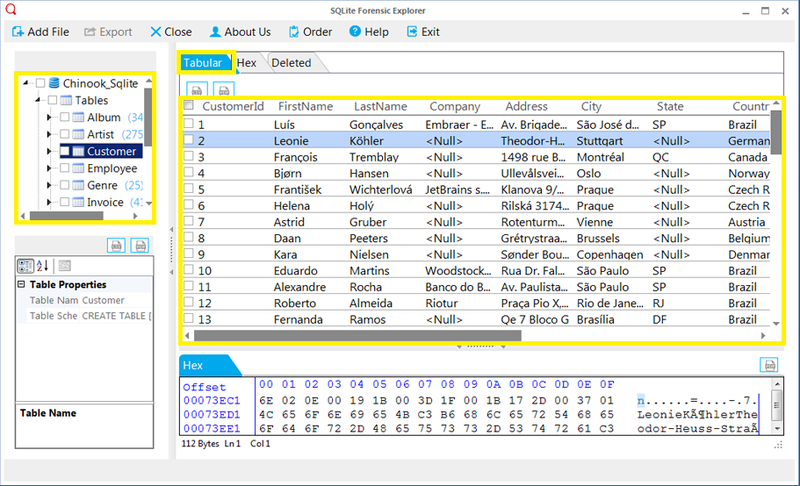 In this article the topic Export Skype Contacts to CSV file format would be discussed. 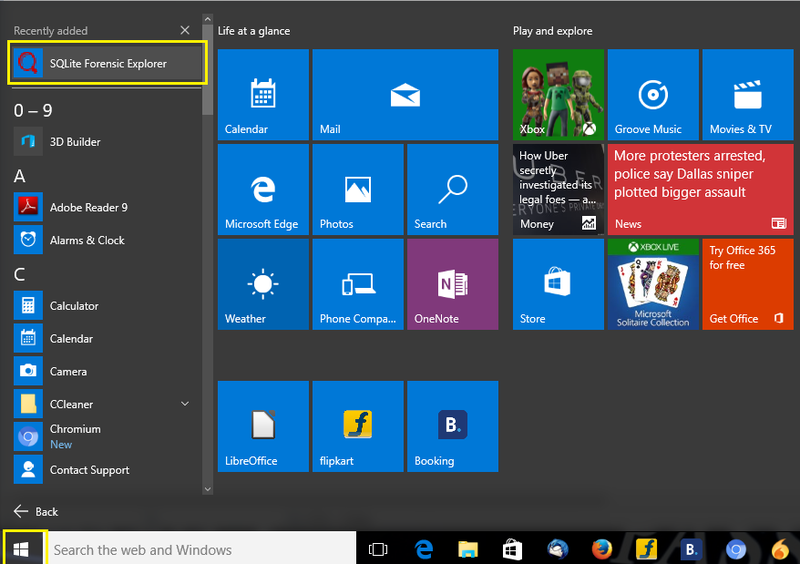 As you know, upon creating a Skype account the first activity is to create a contact directory for that account. You can search for contacts in Skype by providing one of these credentials: name, email address, Skype name and in case of android and blackberry smart phones, a phone number is required with country code. In Skype, You can see the location for a contact on contact card. Send Contacts – A nice and probably underused feature of Skype which provides the facility to forward any contact from your contact list to other Skype users. When you forward Skype contacts, you have to choose which contacts you want to send. 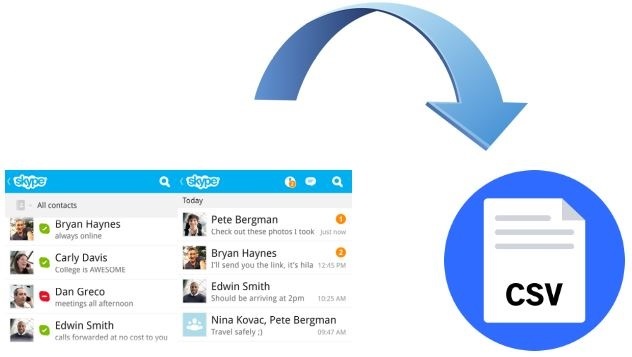 Backup and Restore Contacts – It’s a good idea to backup your Skype contacts even though the list is maintained at Skype’s central repository. To backup the contacts just Run Skype and then navigate to Contacts which you can find at top. And then select Advanced then select Backup contacts to file and then select the desired location in your machine and hit save button for backup. 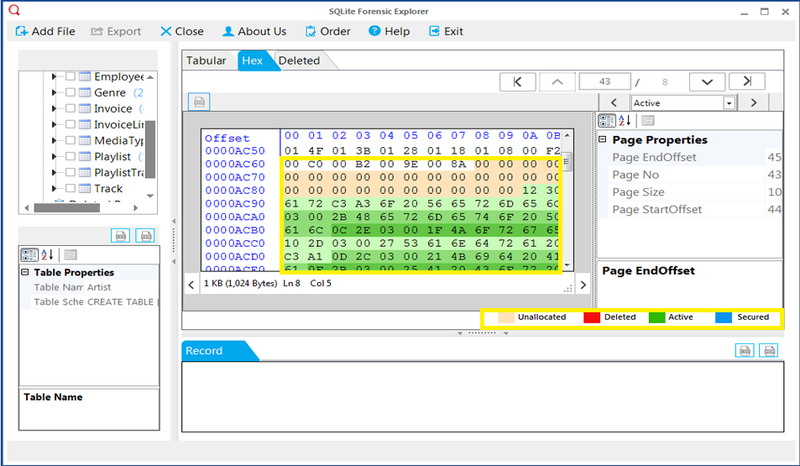 STEP 1: Firstly, Download and install SQLite Forensics Explorer into your computer. 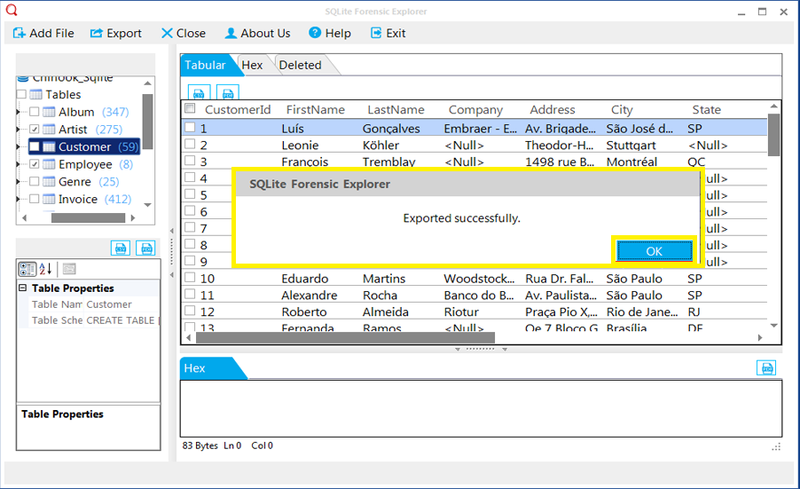 Then follow the given steps to export Skype contacts to CSV. 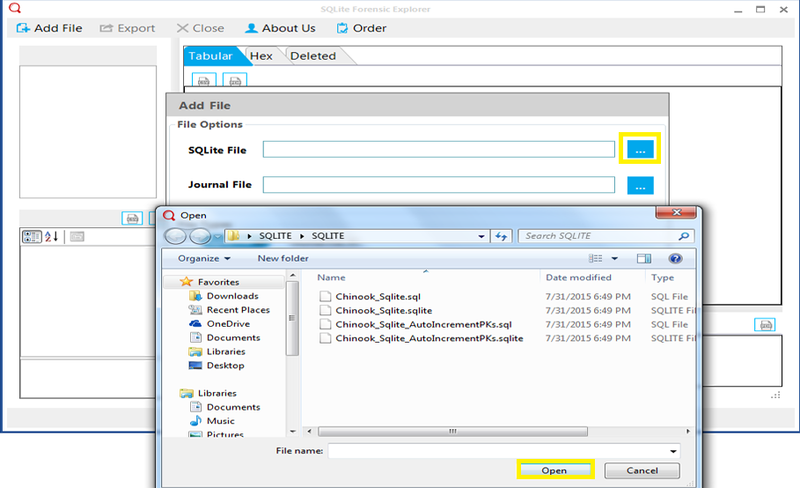 STEP 3: Now, click on Add file option and then click on Add file button to upload a Skype contacts SQLite file. 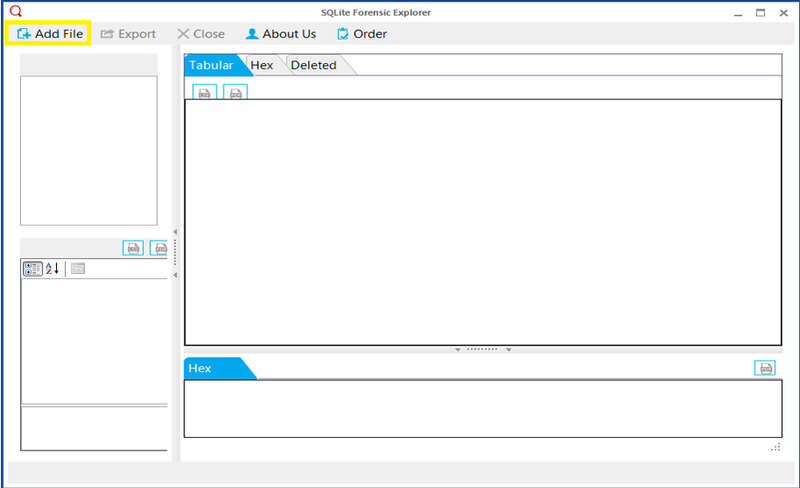 STEP 4: When you click on Add file button, you will see a pop up window to browse and select the Skype contacts SQLite file. STEP 5: Now click on browse button and select the Skype contacts SQLite file. 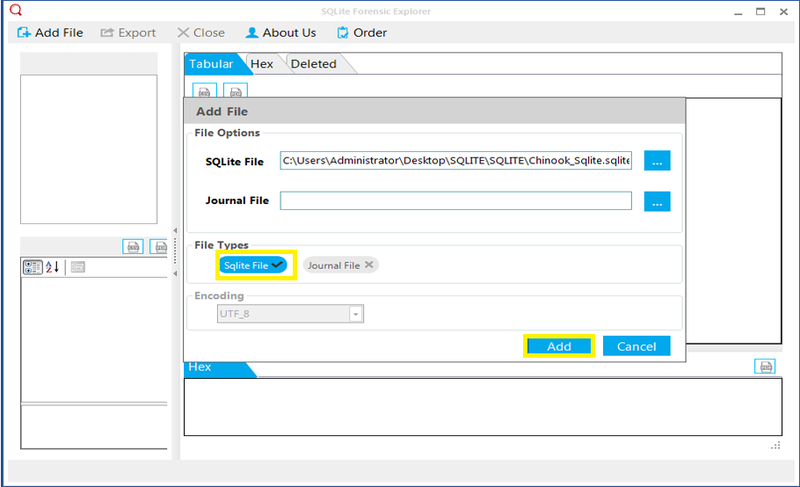 STEP 6: Now click on Add button to start the scanning process of SQLite file. STEP 7: You can also click on Tabular tab to see the preview of Skype contacts. 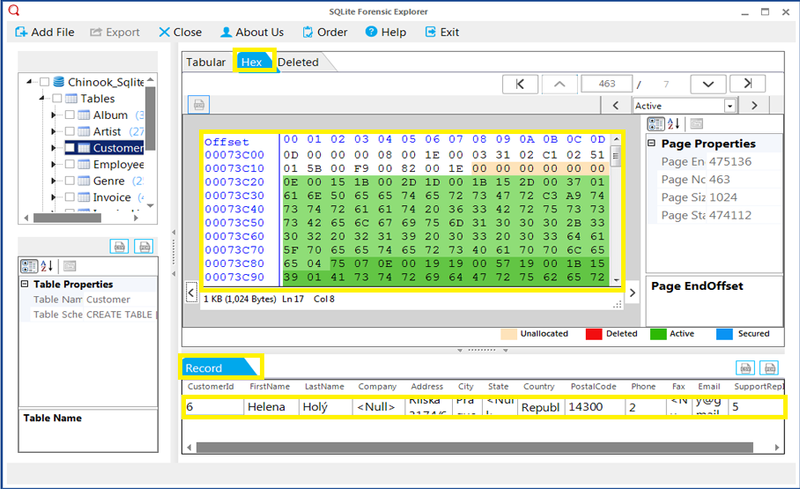 STEP 8: You can also click on Hex tab to analyze the contacts in binary format and where you can see record bar which displays the complete chat report. 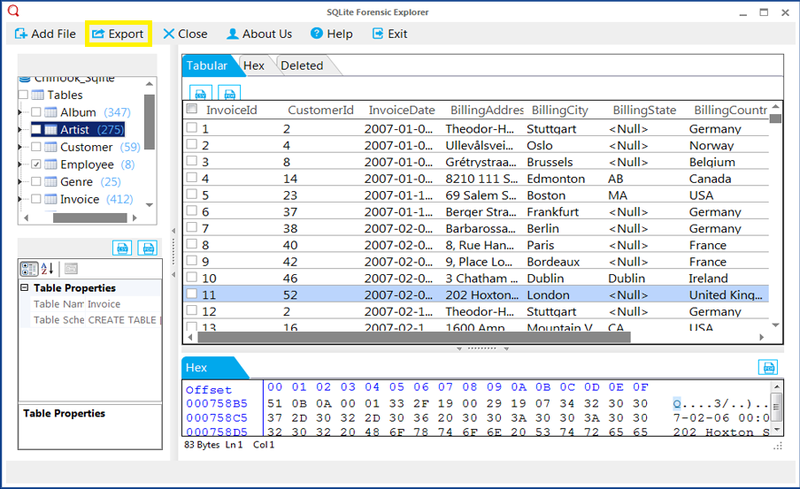 STEP 9: To analyze and categorize the data, software provides the color schema feature. Which differentiates among unallocated, Active, Deleted & secured data. 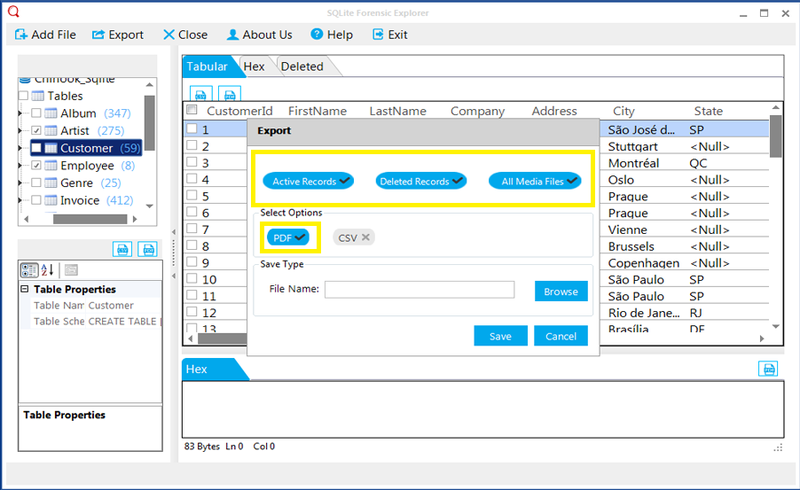 STEP 10: Now click on Export button to export the Skype contacts into CSV file format. 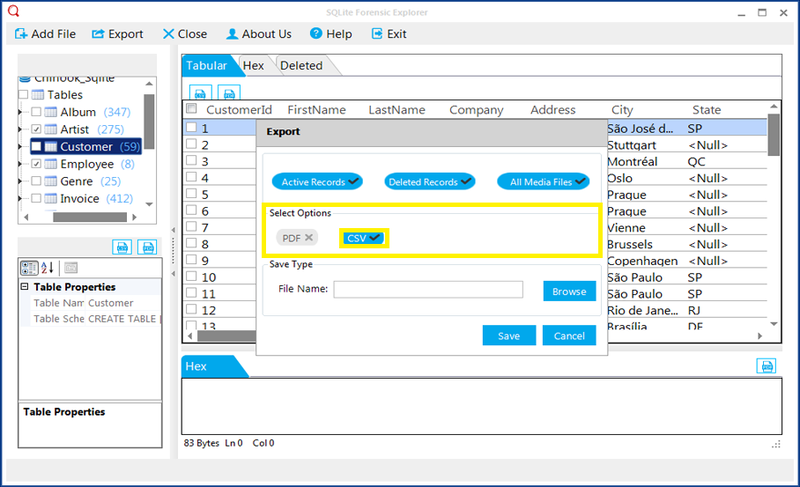 STEP 11: After clicking on export button, you will see a pop up window which allow you to select Export option such as Active Records, Deleted Records, All Media files. Just select CSV format option. STEP 12: Now browse the file and hit save button. STEP 13: After successful Export option you will see an Export successfully message. 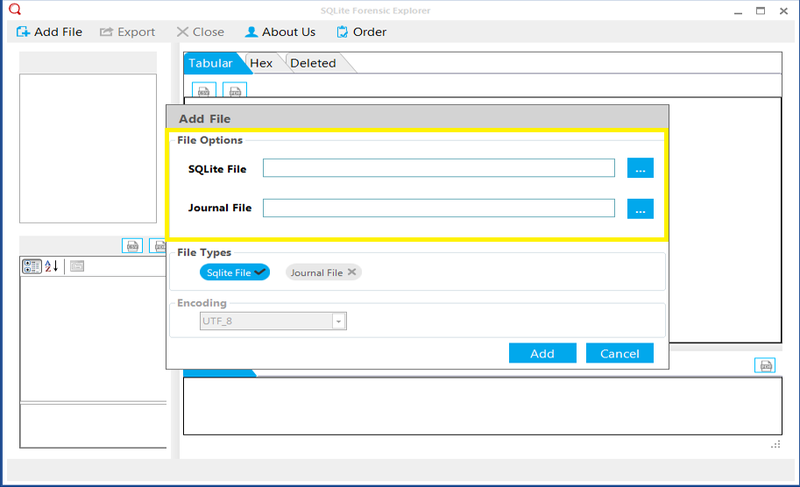 In this article we have discussed about how to export Skype contacts to CSV file format using SQLite Forensic Explorer. We exported all contacts into CSV file format because CSV file is easily accessible in Microsoft Excel and LibreOffice Calc applications.